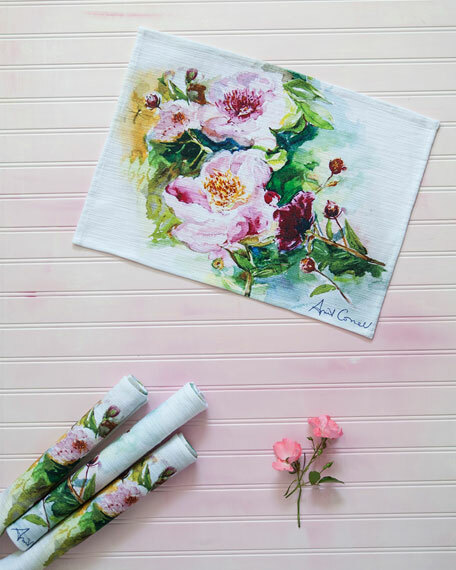 April's heartfelt love of watercolor painting is exhibited in her Peony placemats that radiate the beauty of Spring in these vibrant, expressive watercolor shades. Floral print is based on an original watercolor painting by April Cornell. Set of 4; each, 14" x 19".